Rimac concept one: The Killer Supercar! Rimac is the Croatian electric sports car manufacturer since 2009. Rimac-Automobili is a private company founded by Mate Rimac. 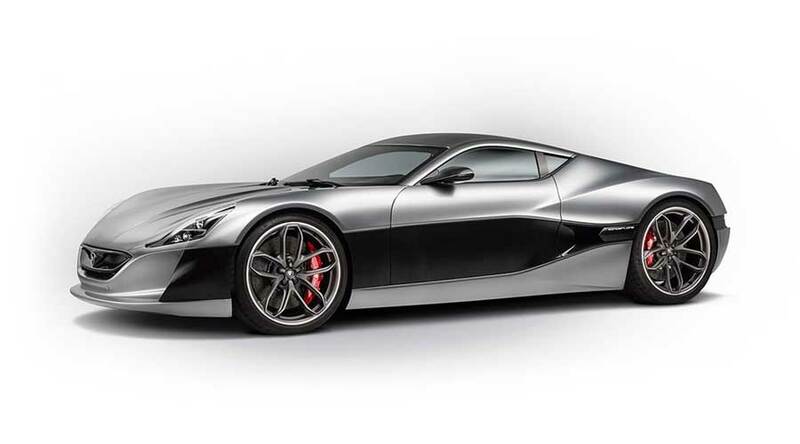 The company’s first model is Rimac Concept One. The Concept one is world’s fastest production electric car. The company founded as a hobby but later marked its presence with unmatched performance and design. During initial times, the performance parts and electric systems were not available in the market. So, the company invented them on its own. Concept one is designed ground up. So, it has superior performance with advanced technology. Rimac utilizes Torque vectoring technique. Torque vectoring is a technology that independently controls individual wheels. Specifically, during tight turns, wheels tend to slow down speed due to traditional gear systems. In torque vectoring, each wheel is independent. Hence, there is no compromise in speed. The all-new power-train architecture is unique on its own. The system consists of the separate power-train, gearbox, motor and independent inverter for each wheel. The uniqueness of the power-train helps in controlling individual wheel hundreds of times per second in both directions. As a result, you will get unique driving experience never seen before. The Rimac Concept One features the state of the art high-density motors. The motors are 90% efficient with full torque at zero speed. As a result, the motors give instant feedback. Each individual motor couples with the proprietary gearbox. Front wheels have single speed gearboxes while rear wheels have really something unique. Both rear motors are attached to the two-speed double-clutch gearbox. The battery system delivers 1MW of power during acceleration and absorbs 400kw during braking. Rimac designed the battery system keeping in mind the race-track use with proper safety standards. Low resistance conducting system along with liquid thermal management delivers unmatched power. The exteriors of the car are truly aerodynamic. All surfaces are designed in such a way that they will balance performance and efficiency. Every line going from outer surface serves two purposes - elegance and functionality. The high power LEDs are directed by ECU units. LEDs also have a unique aerodynamic design which enhances the visibility and sharp projections. The 20-inch rims with carbon ceramic brake discs with strong regenerative braking enhances brake efficiency. The rear lights serve some extra purpose including aerodynamics and cooling. The additional exterior feature of the car is the tie. The tie serves as an air intake for the rear cooling system. The interior design language of the car is also similar to the exterior design language. The hugging body seats position the driver closer to the center of gravity. Rimac made the central console of solid metal components which acts as the middle agent between driver and car’s super brain. The console has all the important settings such as torque vectoring and regenerative braking. 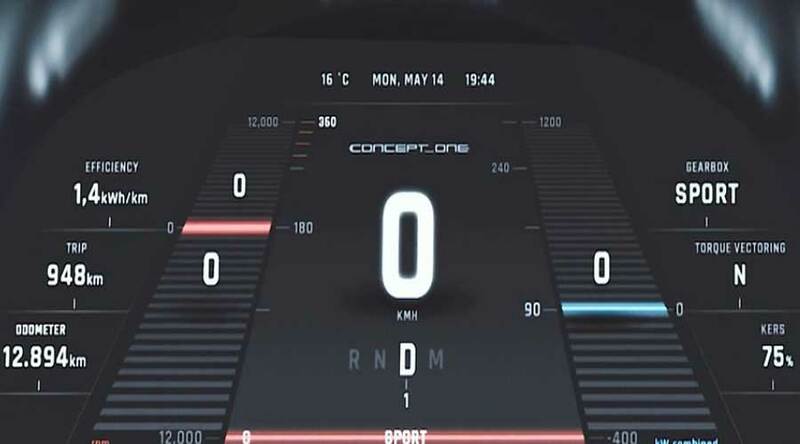 Concept one has the state of the art infotainment system. The system also showcases all information related to the car. The concept one also features M2M (mobile to mobile) system. Hence, it stores all information in the cloud and you can view it wherever you want through mobile app or desktop. The Rimac built the Concept One for speed. The four motors give the staggering power of 1224Hp. The 1600Nm of torque is really enormous. It can go from 0-100 in just 2.5 secs. It has the top speed of 355Km/h. Once charged it can cover a distance of 350kms. The 22Kw on-board charging is also provided. In conclusion, The Rimac Concept One is a truly electric sports car with mind-blowing performance. How competent is Honda Activa 3G?